...VIOME S.A. was founded in 1982 as a subsidiary of Philkeram-Johnston S.A. in the outskirts of Thessaloniki, Northern Greece, producing chemical products for the manufacturing sector. Due to the general economic recession and the mall administration, the parent company went bankrupted in 2011, abandoning the plant of VIOME on its own faith. The only thing the former owners left behind was a massive debt, including of course workers’ unpaid salaries. Desperate and facing the danger of unemployment, VIOME workers, organized in their trade union since 2006, decided collectively to occupy their workplace and called for solidarity. The initial reason for the occupation, beyond its significance and symbolism as a means of struggle, was to make sure that both the production stock and heavy machinery would remain in the factory, hence preventing the owners from selling out everything. One and a half year later, in 2013, together with a great movement in solidarity to the workers’ struggle, the workers of VIOME endeavored a big step: to take the production on their hands! 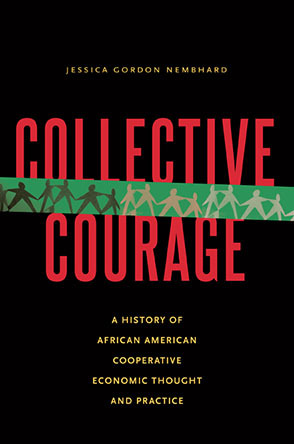 A cooperative was established, in order to acquire a legal form, and the ‘cogwheel of struggle’ began to spin. Since that moment, instead of producing super profits for the bosses through the exploitation of the workers, the factory became a source of dignity, equal labor relations and decent remuneration for the members of the cooperative. The second crucial decision that the workers took with the reopening of the factory dealt with the change of production: from constructive materials VIOME would from now on start producing natural detergents, eco detergents and oil soaps, friendly for the environment and human health. Despite its branch in Athens and its e-shop, VIOME’s products are distributed by a number of social centers, squats, cooperatives and small groceries across the country, while they are also exported in collectives abroad.